Millennials have this annoying reputation for being lazy, self-absorbed, and entitled, some of which can be true and some that's just plain nonsense. While some of these trends may hold up, a lot of sounds a lot like the same complaints every aging generation puts on the incoming one for just not being good enough. 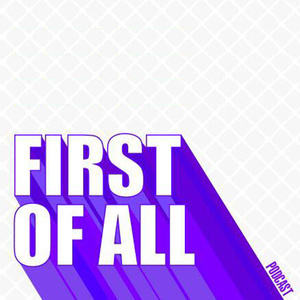 On this episode of First of All, Minji welcomes back dancer, artist, & entrepreneur homie FENG to the podcast to chat about the concept and values of respecting your elders. As Asian Americans, this is something both of them have been raised to strongly honor and respect since birth. Now that they're both in the thick of being the "grown up" and mentoring the next generation, they discover how maybe (just MAYBE) they ignored some pretty priceless wisdom as youngsters from parents, teachers, coaches, & even some peers. What are we ignoring? What are we unnecessarily shutting down? Are we better off for it? Together they take a moment to shed light on the value of being open to feedback, interpreting and implementing advice, and truly respecting elders who have come before.